29 November 2018: Letter from our Assistant Auditor-General, Legal to the Chief Executive of Tasman District Council. 21 November 2018: Letter from our Sector Manager, Local Government to the Chief Executive of Tasman District Council. 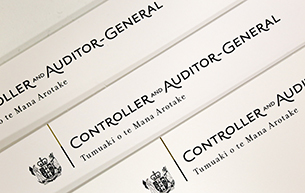 20 November 2018: Letter from our Assistant Auditor-General, Legal to the Chief Executive of Tasman District Council. 23 November 2017: Letter from our Assistant Auditor-General, Legal to the Chief Executive of Tasman District Council. 18 September 2017: Letter from our Assistant Auditor-General, Legal to the Chief Executive of Tasman District Council.